If you want to achieve the rich ambiance of natural wood blinds, dura wood is absolutely a great choice. Real wood blinds is an excellent blinds for all types of homes, but is a bit expensive. 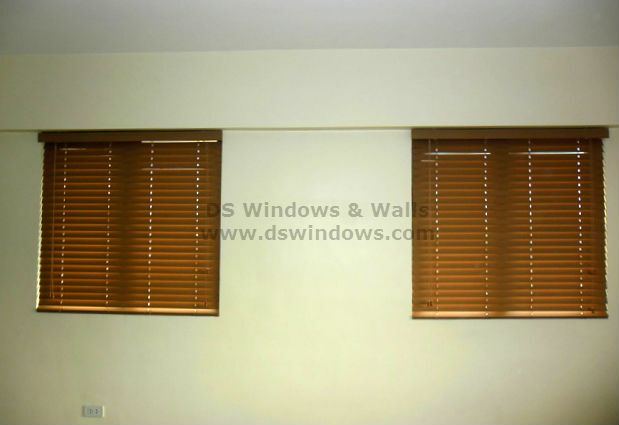 Because of this, DS Windows & Walls offers a substitute for real wood blinds, the dura wood blinds. One of our clients in Lipa City, Batangas opted for dura wood blinds for their living room area. They love the ambiance and elegance that wood brings, but they also want to be wise in consuming money that is why they chose dura wood blinds as an alternative to wood blinds. The features of Dura wood blinds also known as faux wood blinds and fake wood blinds are very close to real wood blinds. 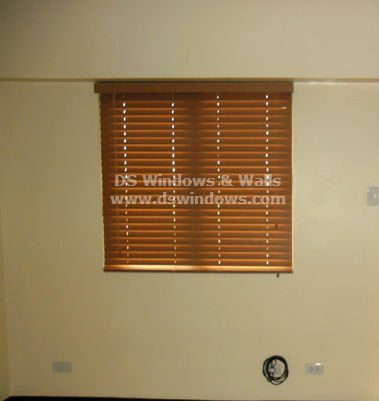 Dura wood blinds is cheaper than real wood blinds, which is convenient to those people whose budget are very tight. Even though it is in its very low cost, its durability is incomparable. The big advantage of dura wood in real wood is that it is durable in high moisture and humid areas like kitchen, bathroom and laundry. Dura wood blinds also offer different colors that will surely fit in any type of home interior. Dura wood blinds different colors are white, almond, off-white, bleach, maple, natural, oak, birch and cherry wood. You may check it at our online web store angryblinds.com.ph. To check our dura wood blinds swatches personally, you can visit our shop at 4th level Waltermart Makati City, 3rd level Robinson Metro East, Pasig City, 2nd level Pacific Mall, Lucena City. DS Windows & Walls also offer FREE measurement within Metro Manila. 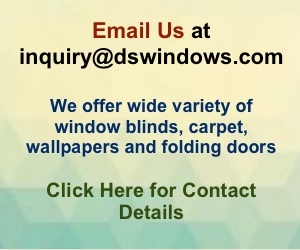 If you have questions, you may call us at (02) 893-1373 / (02) 403-3262 / (02) 668-9668 or 0916-311-3909 or email us at inquiry@dswindows.com.